Hailing from the landscapes of Central Florida, DJ/Producer Stilo Mancia has been hitting the ground running since he's been spinning his own brand of multi-genre EDM styles; including Tribal House, Jungle Terror, and Moombahton. Not long after learning the dynamics of DJing methods, Stilo began manifesting into a lucrative artist and eventually expanded his horizons by opening the doors with his own record label, Bang The Culture Records. He releases a weekly Podcast (titled Band The Culture Radio), and so far has captivated listeners from all over his scene and his surroundings. 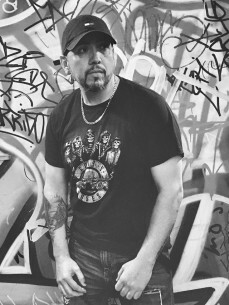 Not long after Stilo Mancia came into the scene, he wasted no time at all and began to perform at many different Clubs, Venues, and Events across Florida, New York, and has even traveled to Amsterdam (Netherlands) and has plans of returning later in the year to host his own event, "A Tribe Called Bang". Some other notable Venues Mancia has graced the stage that include Pacha NY and NYC's Webster Hall. The DJ has landed opening slots for industry heavyweights such as Juicy M, Adam Breyer, Vinai, Quintino, Moti, Tiesto, Richard Grey, Vicetone, among many others. As Stilo Mancia pushes forward in his career, he plans on continuing to spin some of today's best EDM elements, book more Tour Dates, and expand his fan base as his career thrives as a professional DJ/Producer. Be sure to keep up with the rising artist by connecting with him on his Social Media platforms and Music Streaming sites for News, Music, Tour Dates, Events, and everything else Stilo has planned for the rest of 2017 and beyond.